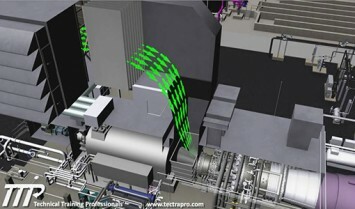 TTP is proud of the number of Gas Turbines for which it has created detailed 3D Training. 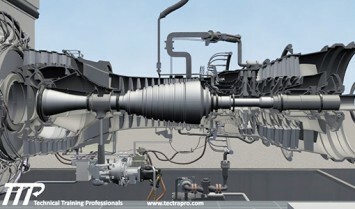 These gas turbines include; 7FA, 7EA, LM6000, LM100, LMS 2500, v84.2, 501 F, SGT-800 and v84.3a (in progress). This wide variety allows us to provide completed content that can be readily used by our customers and it also provides us with a completed machine that can be edited for different fuel supply and other site-specific requirements. Originally a Westinghouse turbine, the 501F, known as the modern Siemen’s SGT6-5000F, has been the answer to GE’s 7FA series. We have 501F training courses and 501F training videos to help train your staff. The older and predecessor to the 7FA, GE’s smaller 7EA gas turbine providing 70 to 90MW initially stepped into the workforce in simple cycle format featuring the first dry-low NOx system. Still in production today, in both simple and combined cycle modes, the 7EA continues to provide that medium range output with proven reliability. GE’s most popular gas turbine. The 7FA features a solid design updated and improved through the years. With outputs from 170MW up to the latest version producing 205MW, the 7FA provides a great platform for large power plants in a combined cycle setup. 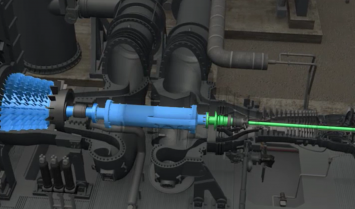 Low NOx production and super reliability have made this GE’s best machine. The airliner derived LM2500 made its first appearance propelling navy ships, now in its power-production configuration, it has fast start capability and increased output from the original 23MW to 30MW. We have LM2500 training courses and LM2500 training videos to help train your staff. A land-based application of an airliner turbine, the LM6000 has provided the market with one of the most efficient machines with fast start capability. Providing between 40 to 50MW output with varying technologies, the LM6000 is used in simple and combined cycle applications. We have LM6000 training courses and LM6000 training videos to help train your staff. 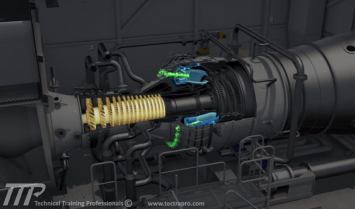 GE’s latest aero-derivative LMS100 gas turbine utilizes a beefed-up LM6000 core and frame 6 compressor to deliver 100MW of fast start power; providing high efficiency and high output while offering simple and combined cycle options. We have LMS100 training courses and LMS100 training videos to help train your staff. 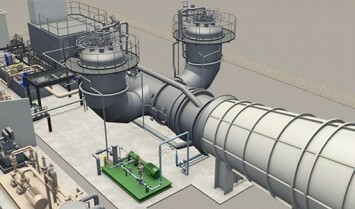 The SGT-800 gas turbine is a small 50MW machine featuring a reduction gear-driven four-pole generator. 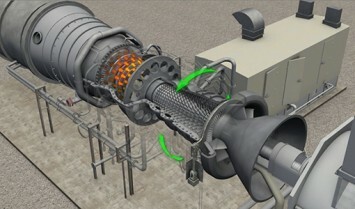 The gas turbine utilizes an annular type combustion system with dry low-NOX combustors. 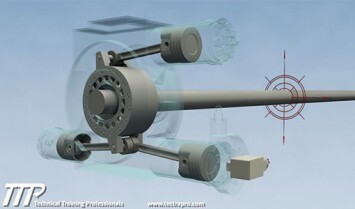 The machine has a 15-stage air compressor and 3-stage power turbine. We have SGT-800 training courses and SGT-800 training videos to help train your staff. One the most reliable, mid-power range gas turbine, the V84.2 proved itself as one of the most robust machines on the market. 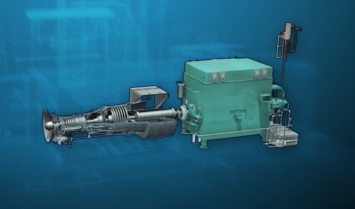 Featuring quick starts in simple or combined cycle operation, long overhaul intervals, and its unique dual silo burner setup.